Columbia College mourns the loss of Steven Marcus CC’48, GSAS’61, former dean and George Delacorte Professor Emeritus in the Humanities, who passed away on April 25. The son of Nathan and Adeline, Marcus was born in New York City on December 13, 1928 and grew up in the Bronx. Marcus enrolled at the College, where he studied under Lionel Trilling. He graduated from the College in 1948. Marcus then began teaching at Columbia in 1956, and after earning his doctorate was appointed the George Delacorte Professor in the Humanities in 1976. A Fellow of both the American Academy of Arts and Sciences and the Academy of Literary Studies, he received Fulbright, American Council of Learned Societies, Guggenheim, Center for Advanced Study in the Behavioral Sciences, Rockefeller and Mellon grants. A specialist in 19th-century literature and culture, Marcus authored works including Dickens from Pickwick to Dombey, The Other Victorians, Engels, Manchester and the Working Class, Doing Good, and Representations: Essays on Literature and Society. He was also co-editor, along with Trilling, of Ernest Jones's The Life and Work of Sigmund Freud. From 1993 to 1995, Marcus served as dean of Columbia College, where he was a staunch supporter of the Core as the basis for a comprehensive education. 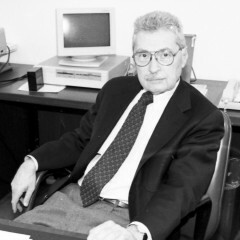 Marcus retired in 2004, becoming George Delacorte Professor Emeritus in the Humanities.